One thing I like about being a dad in Japan and the tons of improbable toys that one can find here. Sometimes, they’re a bit too over-the-top, but at other times, they’re really imaginative and fun. For example, Tomica, the main manufacturers of small toy cars (the Japanese equivalent to the Matchbox, Hot Wheels and Majorette brands), in addition of the usually realistic cars it produces, also makes some interesting cars from movies and cartoons at times. Including some Star Cars, inspired from the characters of Star Wars. 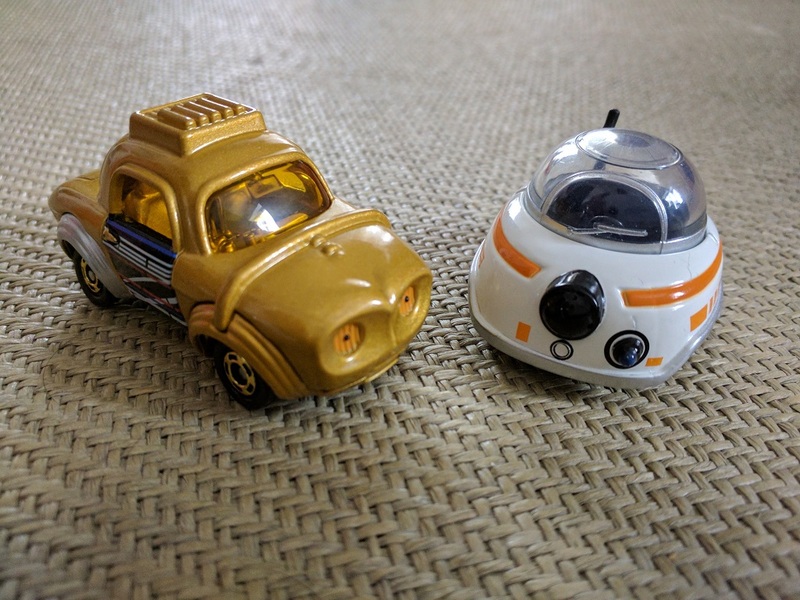 Introducing the Tomica versions of C-3PO and BB-8! Seriously, have you seen cuter cars in your life?